Sun exposure is the most natural way to produce the vital hormone vitamin D. Just as sunbeds are a good alternative to the real deal for getting a tan, they can also help you get the vitamin D your body craves. "Artificially produced UVB can be a surrogate for sunlight in winter. Make sure you use a facility that has a trained operator controlling the equipment. 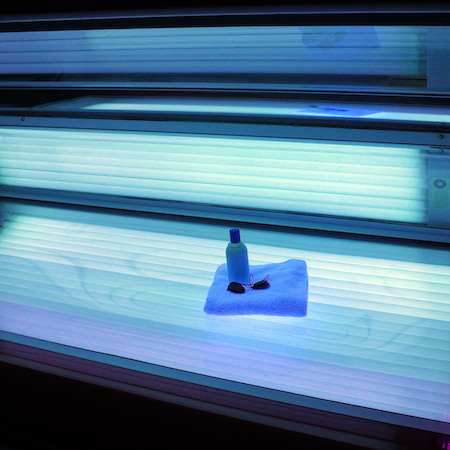 A study I co-authored in 2010 showed that indoor tanners have some of the highest vitamin D levels in Canada. A photon of light is a photon of light whether from the sun or produced in a sunbed. For people with malabsorption issues, such as those with inflammatory bowel disease (IBD), who cannot absorb vitamin D from food or supplements, this would be their only option in the winter. Remember to use protective goggles and consider reducing the suggested session time by 50% and have at least 48 hours between sessions. There is an increased risk of skin cancer from UV overexposure whether from outdoor sun or sunbed exposure and caution needs to be taken. Know your skin, and skin type. Do not burn!" Click here to read about more ways to get vitamin D in the article from Darpan Magazine.